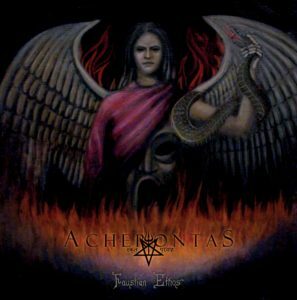 Back to finish up their Formulas of Reptilian Unification trilogy, Acherontas give us another enormously textured black metal album with endless hidden depths. Ma-Ion, the first part of the trilogy was released in the early days of my reviewing journey. At the time, I hadn’t delved much into black metal. I wasn’t sure what to expect, and I’m not sure I really ‘got it’ at that time, though I immediately found myself drawn to it. By the time Amarta rolled around in 2017, I was pretty excited to see the promo hit my inbox. 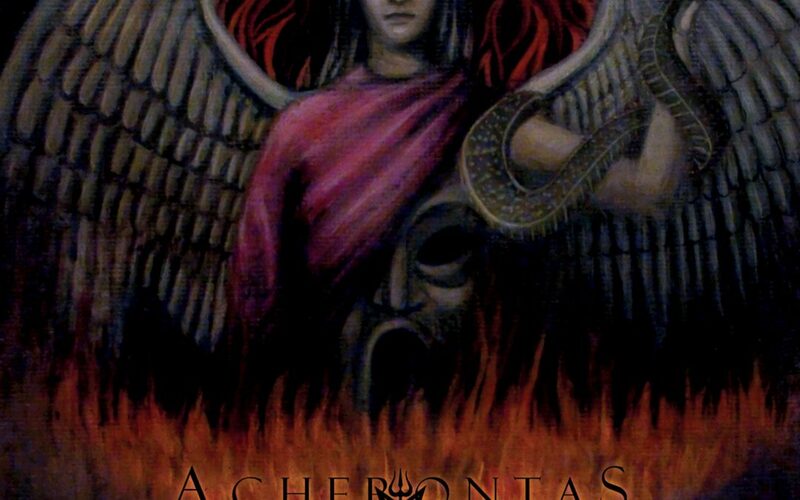 Repeated listening to Ma-Ion had convinced me that Acherontas was something special, and even convinced me to begin to delve into the Greek black metal scene as a whole. Amarta was not a disappointment. To say that I was excited about the conclusion to this trilogy would be an understatement. Sometimes pensive, sometimes blistering hot, Faustian Ethos is a near pitch perfect conclusion to the trilogy. Waves of darkness wash over you as you listen. The understanding of the depths to which this album, this trilogy really, goes, is a moving target. The knowledge is slippery, not easy to hold onto, pulling you ever further into the void. The album seems well contained upon a surface listen, but try putting it on with your best headphones in a darkened room. There’s no telling where the album will take you. It’s different for me every time. Consisting of Acherontas V. Priest (vocals, guitars), Saevus H. (guitars), Hierophant (bass), Dothur (drums), and Indra (guitars), the quintet does a masterful job of melding five into one. Every layer is masterfully done. It’s difficult to parse apart into separate instruments, as it’s the whole that matters here. Sure the blasting and the fills are stellar, the riffs are blackened majesty, and the vocals are dynamic variations on hellfire, but individually, they don’t tell the story. The ingredients of the spell cast do not ultimately determine the effect of the spell. Let this spell be cast upon you. Recommendation – If you haven’t heard the other two, go back to Ma-Ion, then Amarta first, though Faustian Ethos stands up perfectly well on it’s own.